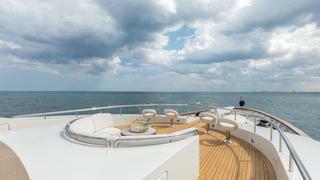 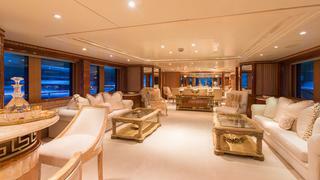 Lumiere is a 50m Benetti; the fourth in their very successful Golden Bay series. 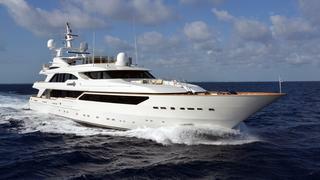 She is a fine example of this company’s Italian flair and elegance in design. 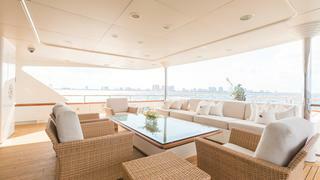 She was designed and built to be able to undertake long cruises and charters in the Mediterranean, Caribbean and other exotic areas. 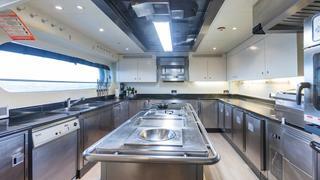 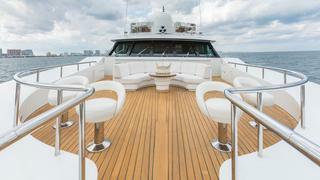 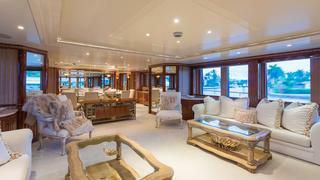 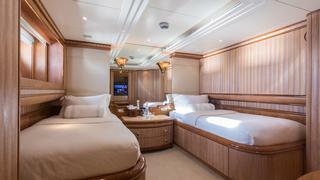 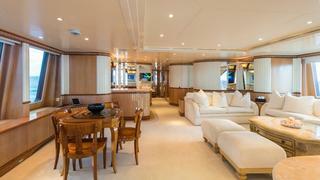 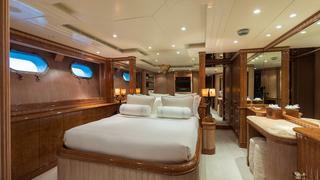 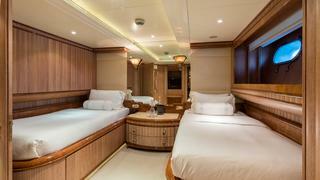 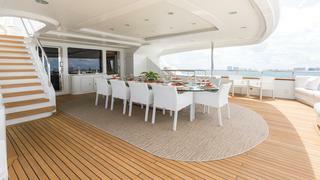 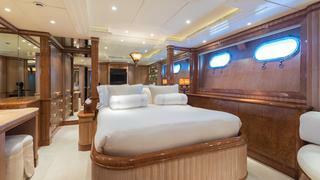 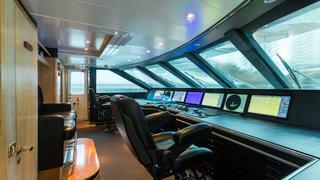 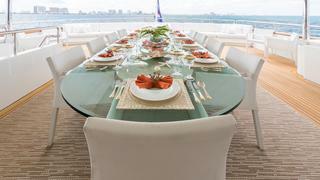 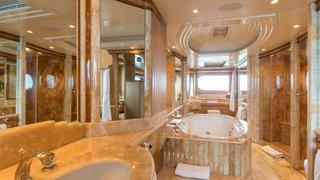 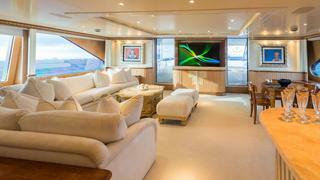 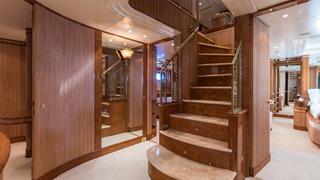 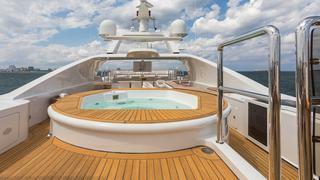 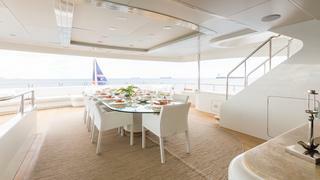 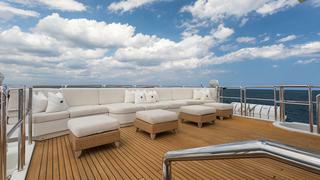 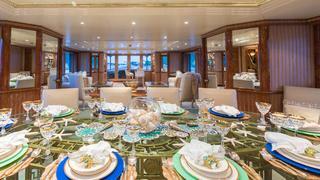 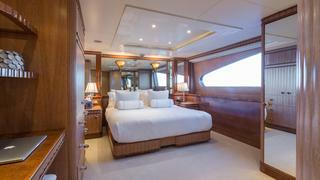 Accordingly, this large motor yacht provides every possible comfort and luxury. 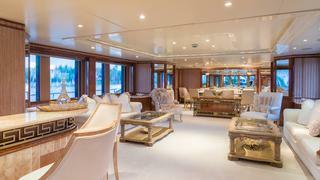 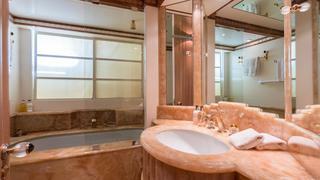 Her interior styling is by Stefano Natucci and features the use of exceptional materials and highly original details. 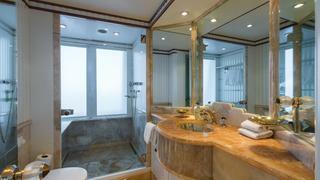 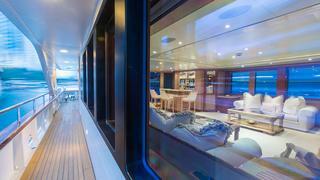 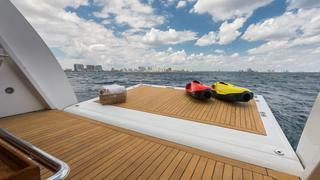 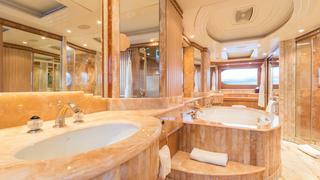 Sanded and vibrant honey colored oak burl has been used for the yacht’s furniture and paneling and the bathrooms are finished in lovely marbles, and honey onyx.